So today is febuary 29th. Which only happens once in four years. It's indeed a special day but in actual fact this day is kind off make-up. In fact, every year consists of 365 and a quarter day. Hence to make things easy, they just add that quarter together every four years and hence the existence of febuary 29th. Well, went out with SB and BY today. Went to Novena and just hang out. Seem like JC life is really quite boring from what i hear from the two of them. Hahax! Luckily i went to poly instead. 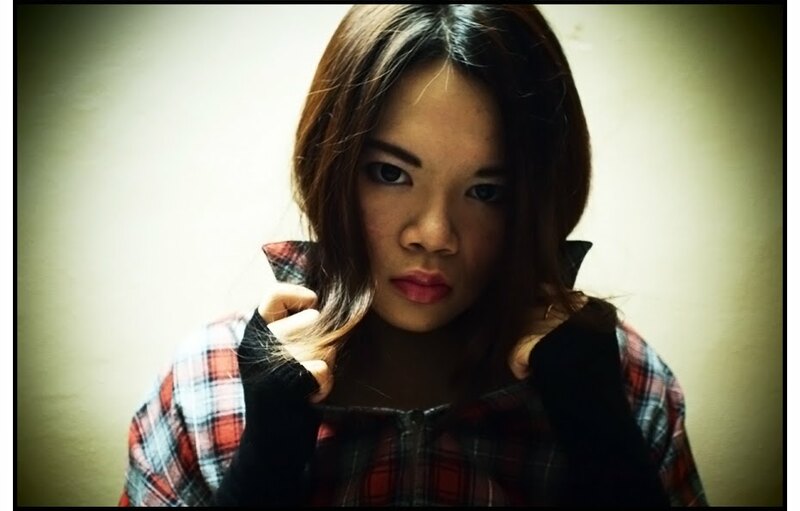 Haha, shall blog till here today. Family Warmth? Never heard of it. I seriously hate my family. It's freaking not like a family at all. It's just a few people who hate each other living together. I would gladly donate all my blood away in exchange for ant other bloods. I hate this dirty blood flowing in my veins right now. If i knew what kind of mess i am to be facing, i would rather die in my mum's womb or get aborted. I bet that in other families, no matter how bad the situation is, it can't be worse then mine. There's a chinese saying which is '家永远是我们的避风港' which i totally don't believe in. I can't remember how many times i have cried over family problems or things that happened in the family. It's just too many times. I will not let anyone accuse me of anything that i have never done before anymore. Not i dun want to work, but is i lazy to find. I wanted to continue with my stories but it seem that my inspirations has gone on holidays like me too. Where are you my inspirations??????? Exams are finally over!!! YAY!!! Exams are officially over yesterday!!!!!!!!!!!!!!!!!!!!! And it's the holidays now!!!!!!!!!!!!!!!!! PSM i think is quite difficult though, but luckily the questions are set in a way that you still be able to crap your way through and score some marks. For MBSN and PMM, i think i did quite ok...The questions are quite straight forward except in PMM.But still, i still guess right that PR came out.Haha!!! Don't talk about exams le!!! It's all over!!!!! I shall enjoy the holidays!!!!! One more thing, congratulations to singapore for being able to host the youth olympics in 2010!!! Well, firstly, a very happy valentine's to everyone out there wheter you are attached or not. I still remembered the valentine's day in anderson. It's also know as friendship day for those singles. We will go around giving chocolates to friends and some lucky ones will get roses by whoever. I remembered that i received a flower last valentine's but not from a guy. LOL. It's from one of my female classmate who's so sweet to give me the flower. I was giving out m&m's and rocher that day. It's like so hetic, ppl were running from classroom to classroom to give gifts. Who said that you must have a bf to celebrate valentine's? You can always have loads of funs with your friends too!!! Haiz, it's already thursday and i am supposed to be mugging for exams next week... But then, i have not started yet... Can you believe this!!! But then, this is the way i am like... I cannot study too early before a test or exams cause i will forget what i studied very quickly... I will only remember if it's fresh in my mind... Like maybe two days before or maybe even one day before. Blame it on my short term memory... Nah, actually i just don't have the urge to study early before the exams... I am those kind of last minute person but then most importantly, i still acheived results and get things done. My first reaction was how did she died? The answer is that she died of old age. She had lived for 48 years and it equals to 95 years of human age. 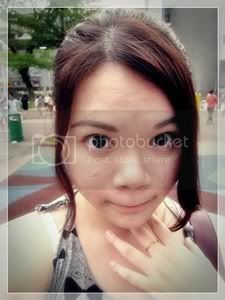 Ah Meng has been living in singapore zoo for a long time and i believed that she brought alot of joy and memories to everyone. I believed that most singaporeans has seen Ah Meng at least once. 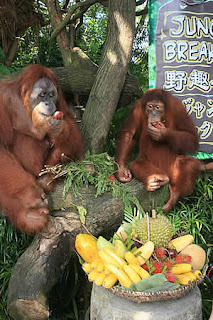 I still remembered the times when i went to the zoo during school field trips. 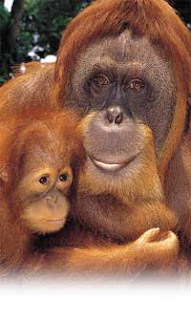 I will always try to look for Ah Meng out of the many Orang Utans in the zoo. 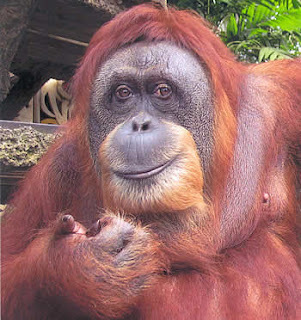 Of course, even though Orang Utans look alike, it's always easy to spot Ah Meng. She's special. I think that she's the first animal which i saw in my life who can smile. She's really very special. But Ah Meng will always live on in our hearts. No one can replace such a beatiful and smart creature. CNY is coming real soon. Haha, is collecting red packets time!!! Got back ICA1 grades for PMM today. I just make it for an A!!! So happy!!! Haha, but then have to work real hard for the exams if i really want an A for this module. Got back ICA2 grades for MBSN too. Nevertheless, our friendship still stay strong. So i shall wish everyone a HAPPY CHINESE NEW YEAR!!! I seriously hate being sick!!!!!!!!!!!!!!!!!!!!!!!!!! Ok, i shall stop talking about my sickness. I have been recording the amount of money i spents and i realised that in the month of january, i actually spent nearly $200!!!! I was like what did i spend it on? I check my records and realise more then half the money were spent on food. $200...How long do i need to take to save this amount.